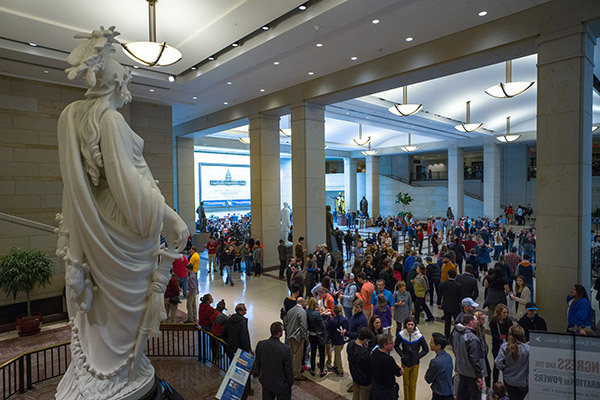 The Capitol Visitor Center serves as the main entrance for visitors to the U.S. Capitol. It is a facility rich with informational exhibits, two gift shops, a cafe and two orientation theaters to enhance the visitor experience. 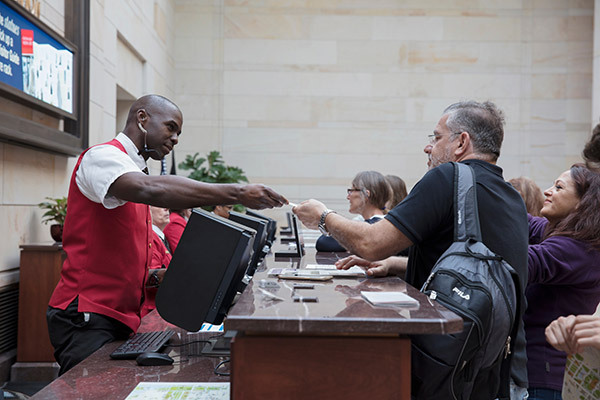 In December 2018, the Capitol Visitor Center (CVC) will celebrate its 10th anniversary. Its unique location under the East Front Plaza increases public access to the U.S. Capitol. The CVC has welcomed more than 21-million visitors from across the country and around the world. 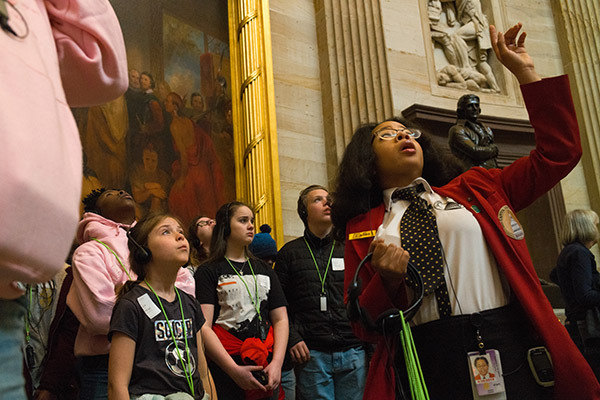 Approximately 60 percent of visitors come to the U.S. Capitol between March and July. The CVC is open Monday through Saturday, except for Thanksgiving Day, Christmas Day, New Year's Day and Inauguration Day. From the vestibule to the balcony to the gift shops and the cafe, the CVC team strives every day to inform, involve and inspire. All merchandise in the CVC is made in the USA and supports small businesses from across the country. The merchandise reflects the season as well as the U.S. Capitol and the exhibits in Exhibition Hall. Many items are made exclusively for the shops. 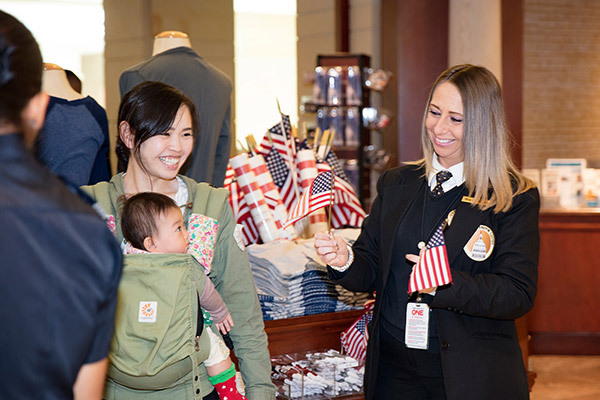 Gift shop sales clerks help visitors find the perfect keepsakes that remind them of their U.S. Capitol experience. Hi Laura, this is a nice piece. 21 million is incredible. Speaking of numbers, I proudly have 5 years here at the CVC! And now, I have to add numbers for the Captcha. Why does the Statue of Freedom face east, away from the Mall?